The Medicina Radio Observatory is an astronomical observatory located 30 km from Bologna, Italy. It is operated by the Radio Astronomy Institute of the National Institute for Astrophysics of the government of Italy. 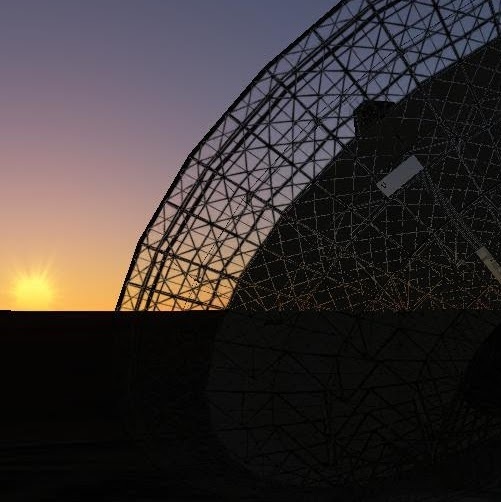 The site includes a 32-metre diameter parabolic antenna for observing between 1 and 23 GHz and a 564 by 640 m, 30000 square meter multi-element "Northern Cross" antenna for observing at 408 MHz. The 32-m antenna is used as a single-dish instrument for astrophysical observations and SETI experiments and as a VLBI station for interferometric observations. The Cross is currently used as a prototype for the SKA.